A blogging buddy of mine, Ruthie over at abitosunshine has challenged her friends to write a thankful post. I feel I live blessed. Not that I don't have any problems or challenges, but I try to choose to see the thanksgivings instead of the misgivings. Years ago, I was in a car accident that totaled my car. To this day, I live in pain from it. Initially, I had anger towards the kid who recklessly hit me. But then I turned my focus to be thankful. Thankful I wasn't crippled or paralyzed from the accident. Thankful that I can get up and walk every day. About a year-and-a-half ago, I lost a very dear friend in a most tragic way. And although grief and sadness welled up in my heart, I never forgot to be thankful that I got to experience him. How many people live their life without having such a friendship? I chose to be grateful for the opportunity to have him in my life for a short time. These are just two examples of times in my life where I have chosen to be thankful, despite. I have chosen gratitude over attitude. Unfortunately, I see so many unhappy people who have chosen to have an attitude about bad circumstances that they have faced. This attitude not only affects them, but can affect anyone who comes in contact with them. It is toxic. They become toxic. They try to shatter relationships. They create problems. They become hurt people, who hurt people. And they hurt themselves even more. And it all comes back to choosing attitude or gratitude. I choose gratitude. 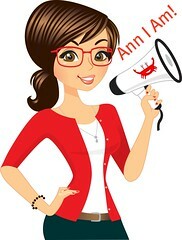 Ann, I am thankful by the pleasure of having known you, online, for many years. Knowing you as I do, I am sure that every word here is directly from your heart. You are a good and grateful soul, Ann. What a wonderful attitude of gratitude! excellent! I have to remind myself not to get too wrapped up in attitude! Cheers! and Thanks! I am blessed and thankful to call you friend. Your gratitude is contagious. I am blessed to call you friend. You have a beautiful heart. Your gratitude is contagious. Thank you for being you. We used to do this thing in the school van where the teacher would say attitude check and we would all respond "praise the Lord!". It was our constant reminder that God is at work in our lives and we had to make an attitude adjustment. Great reminder! I have always tried to live on the positives. In some situations in my life other's have questioned how I was able to.